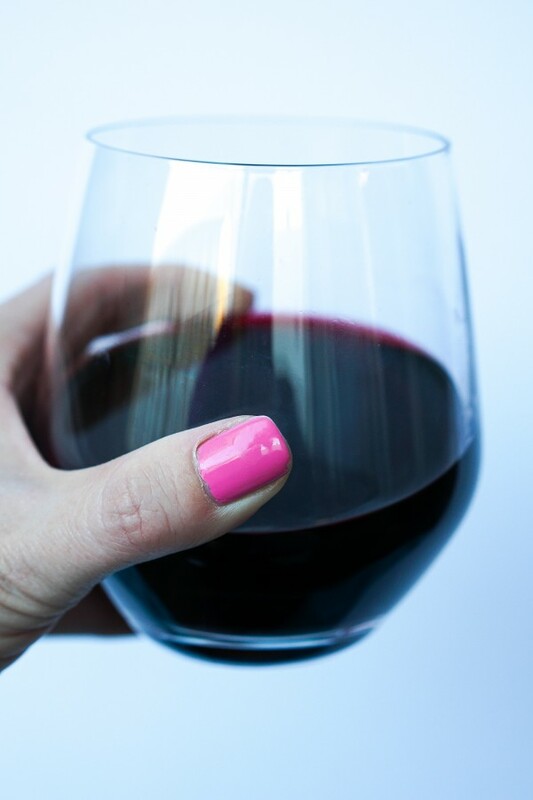 My husband is going to laugh at me when he sees this post, but that’s OK. I’ve been walking around listening to podcasts to and from work, while I do laundry, get my nails done, you get the point… all the while acting like podcasts are a new thing. News flash: they’re not. But I’m just now getting into them and I’m slightly obsessed. Who knew there were so many good ones out there on literally any topic you type in the search field?! And with my less-than-15-minute commute, it’s hard to get into a book or mag, so I love that I can listen to podcasts door-to-door. So here goes the start of a new blog series… with my favorite podcasts and episodes. I’d love to get recommendations from all of you in the comments so I can continue trying new ones out! 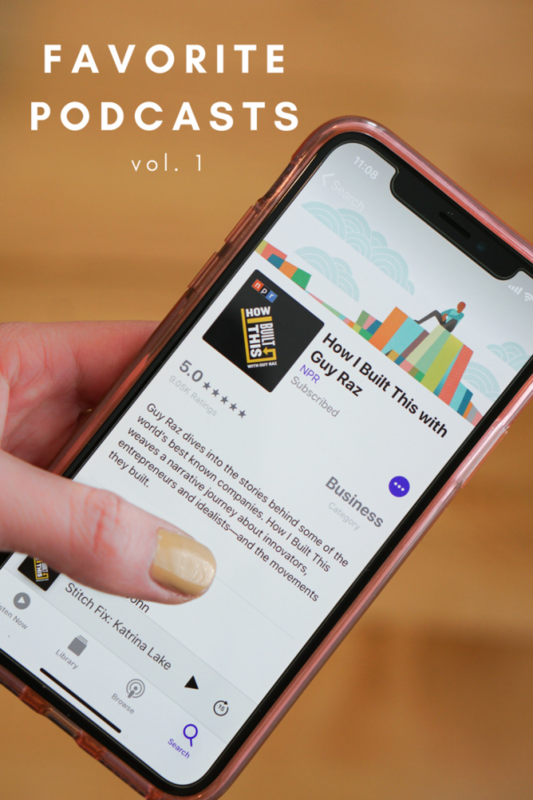 I love this podcast so you can’t really go wrong with any episode – scroll back to old episodes and you’ll find stories about how brands like Kate Spade, Patagonia, Framebridge and even Instagram came to be the successful brands they are today. This is a great, more recent episode about how Katrina Lake came up with the idea for Stitch Fix, her online personal shopping service that uses technology to curate boxes of clothing just for you based on your preferences. As someone who has tried – and enjoyed – this service before, this was particularly interesting and inspiring. 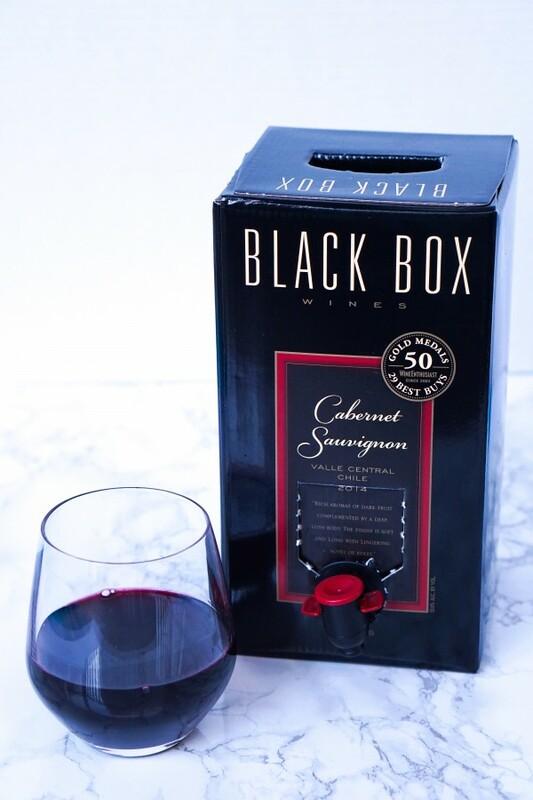 The company went from Katrina testing out the idea with 20 friends and acquaintances to where it is today with over two million customers and a billion dollars of annual revenue. This is another girl boss success story, this time with another company I personally love, Spanx. I practically live in the brand’s faux leather leggings – you’ll find four different colors/styles on constant rotation in my closet. In the podcast, she tells the brand’s story, talking about what made them so unique in the marketplace: the fact that all of their products are essentially inventions, not just a new version of something that already exists. I loved this quote from Sara: “Sell the problem you’re solving, not the product.” She also encourages women starting businesses to think about what they got out of each failure, because there’s always something. 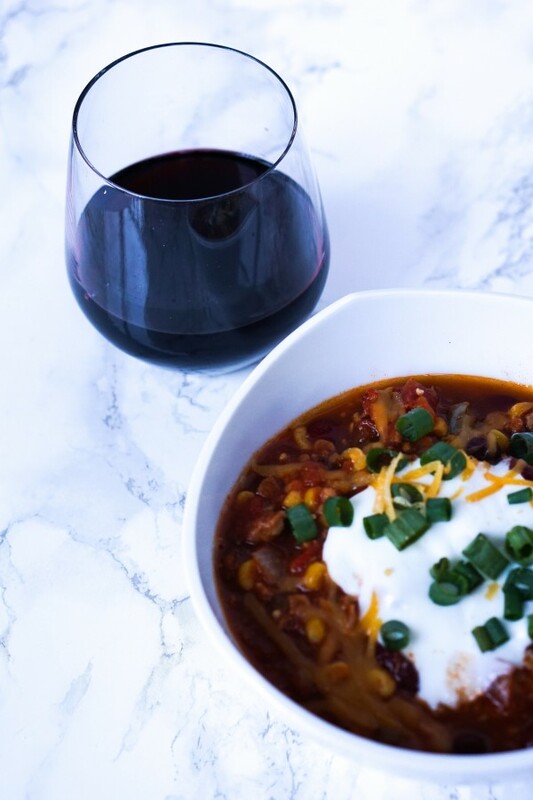 If you watch the Bachelor/Bachelorette, this podcast is a must while it’s airing – host Juliet Litman recaps each episode and has lots of guests from Bachelor Nation chatting about it with her. But I’ve quickly discovered that I also love her off-season podcasts… this one bringing me back to high school and college with Adam DiVello, creator of “Laguna Beach” and “The Hills,” which resulted in my Lauren Conrad obsession. I’ve been meaning to watch his new show, “Music City,” and going back in time with him in this podcast made me want to check it out even more – especially because it’s based in Nashville. What I found cool was that he mentioned that “Laguna Beach” was really a reality version of “The OC” – and “Music City” has a similar approach where the idea for the show came from doing a reality version of “Nashville,” which I also love. 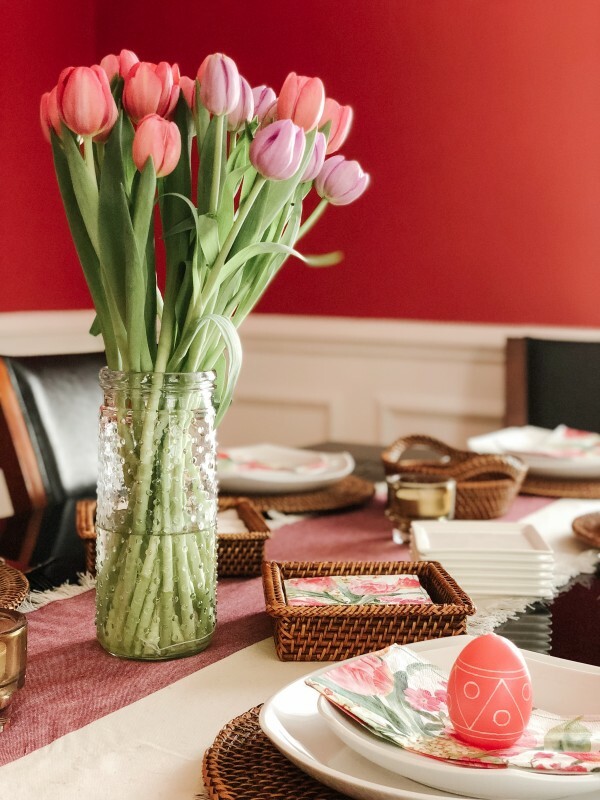 I’ve been a longtime follower of Grace’s – her blog, TheStripe.com, is one of the few that I read a few times a week. She’s so real, I love her style and we love the same kinds of books. After she got me hooked on the YA series “The Thousandth Floor” (more to come on that in my next book review! ), I was excited to hear she was launching a podcast where she’d be talking about “bad books and good advice” with her former Baublebar coworker and friend, Becca Freeman. Admittedly, I listened to episode 1 and 3 – I want to read the books before listening to the book episodes! Episode 3 gives some good advice about turning hobbies into careers, including the benefits and drawbacks. 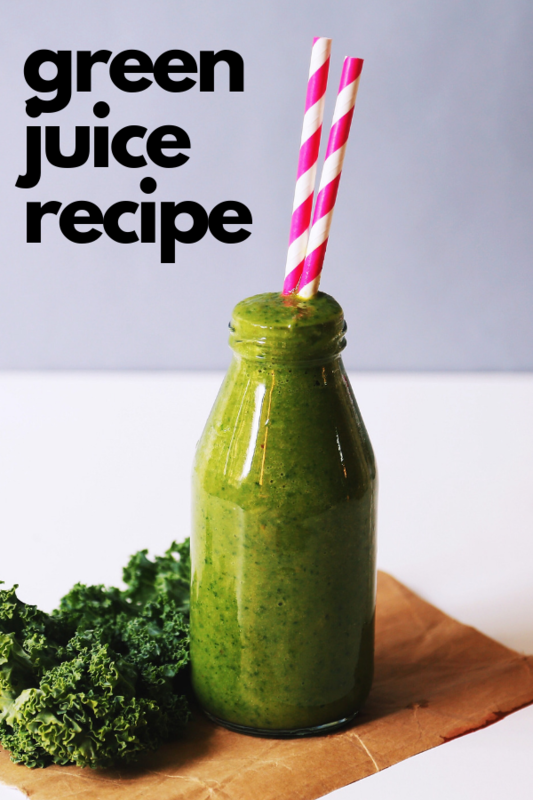 Read more about this episode in Grace’s latest blog post. 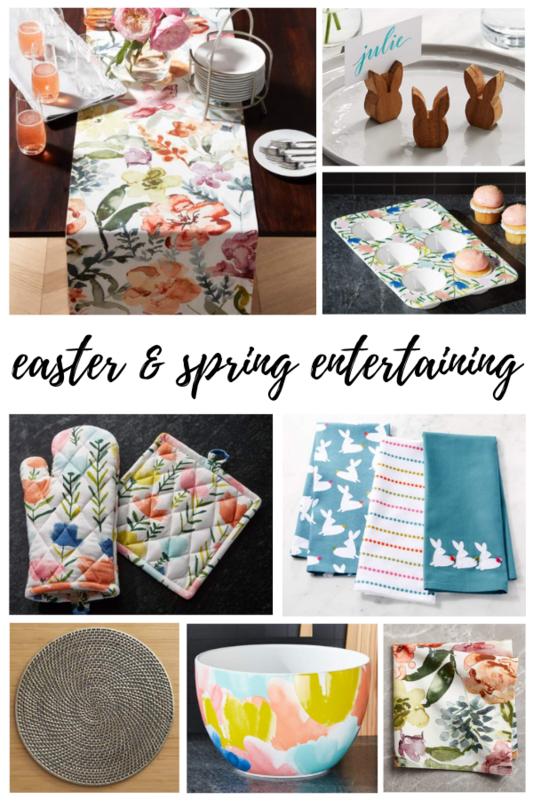 When I first started this blog, I had a Friday Faves series where I shared a quick four links of favorite things I saw over the week. 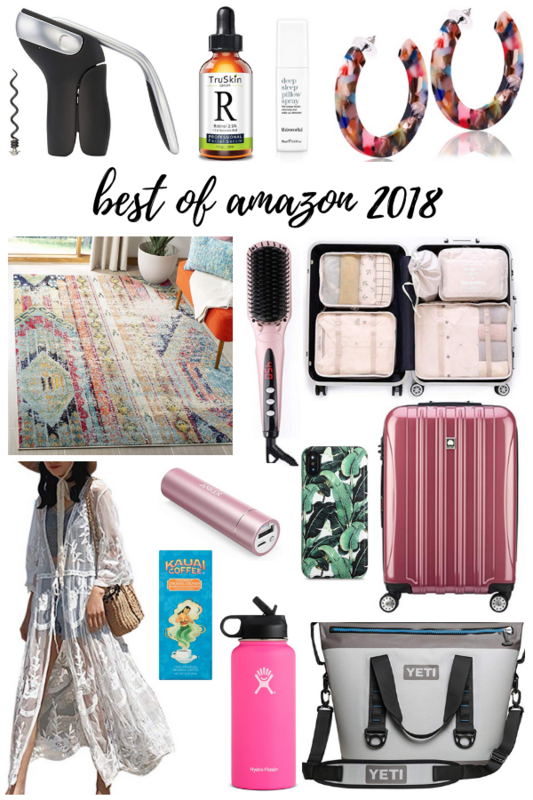 For this year, I’m going with an updated version of that, complete with articles I loved, shopping picks and awesome sale finds. If you have any recommendations for links or items to include in my next Weekend Reading post, comment below or message me! 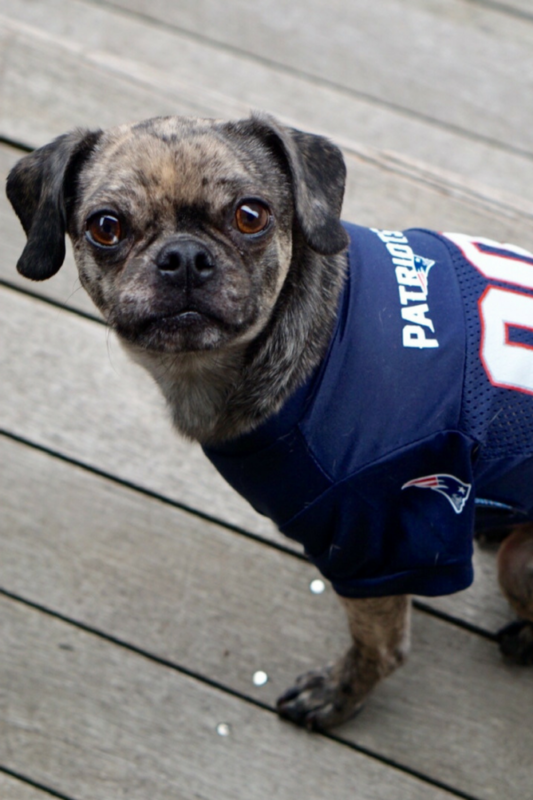 Hope everyone had a great weekend and are getting together with friends or family for the Super Bowl… go Pats! Hank is showing his team pride in today’s pic. Tuesday was apparently National Plan a Vacation Day and I loved this post, “Why vacations matter for your health.” Couldn’t agree more! 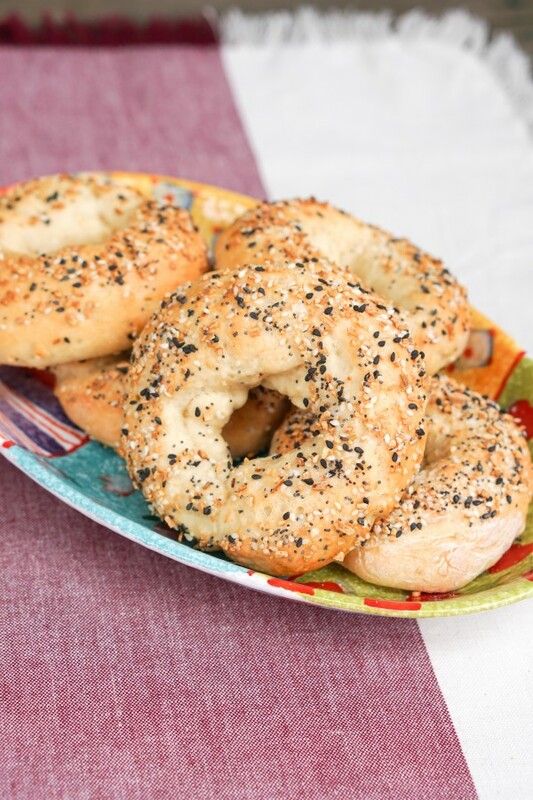 The easiest, most delicious homemade bagels that are 152 calories. 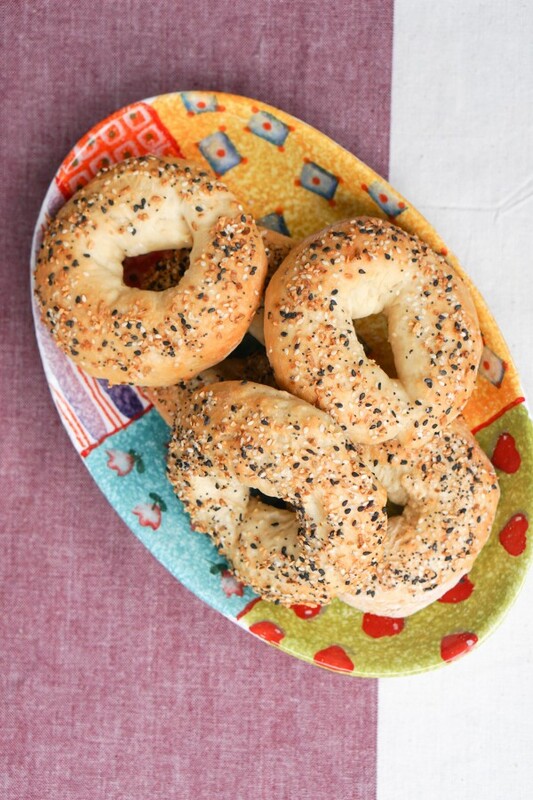 Seriously, grab your Trader Joe’s everything but the bagel seasoning and make these! 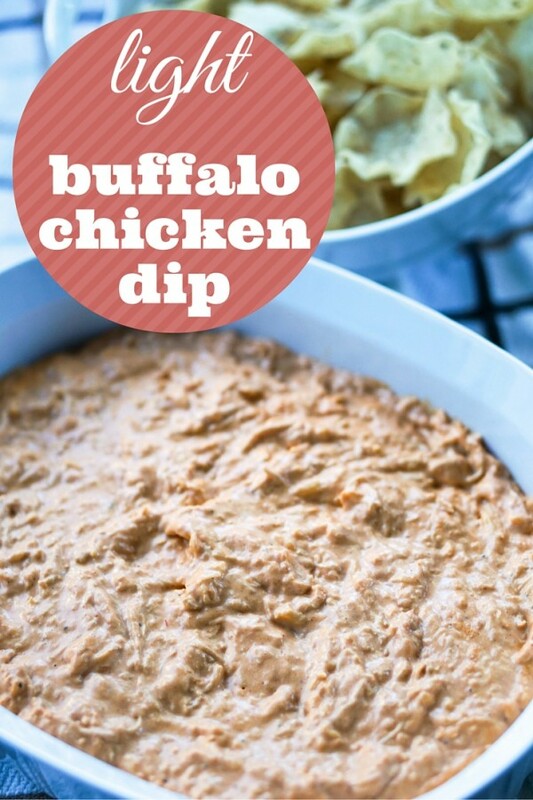 Bringing back my go-to buffalo chicken dip recipe for game day on Sunday… #gopats! Looking for other inspiration? 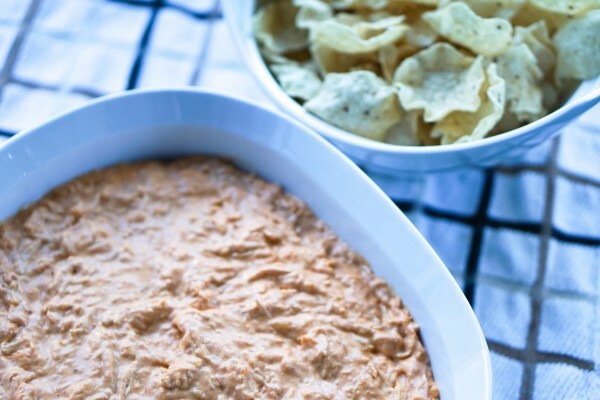 Try this 3-ingredient artichoke dip or better-for-you layered Greek dip. This one is admittedly self-promotion… but it’s been a long time coming and I’m excited to share my full post on the Wailea Beach Resort on JustLuxe.com. I have lots of Hawaii content coming to the blog in the coming months, but if you’re traveling to Maui, check this out! Loving this gold metal mirror (on sale!) with this table for our work-in-progress updated entryway. Made a huge difference already! Shop similar mirrors here, here & here (this one pretty similar to the one I bought but way less $!). If you like this style table, they also have it in a coffee table, night stand, dresser and even bed! The coziest thermal that’s all over Instagram is a must-buy. 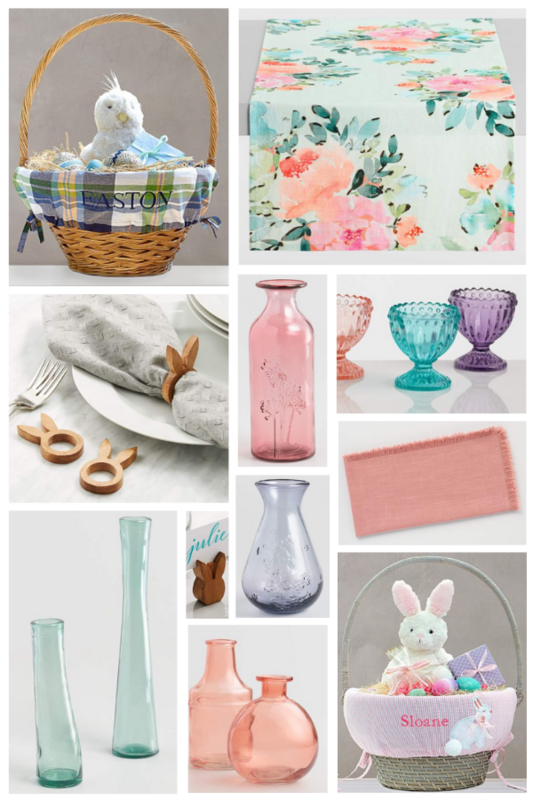 I’ve been stalking trying to grab it in the lilac color – right now I have gray. Having a serious debate with myself over whether or not this straw crossbody bag is worth the price tag (also comes in a smaller version here)… Remember that other bag that was all over Insta last summer? There’s now a near-perfect dupe for under $45 on Amazon. This flowy floral tank that I wore in Palm Springs. 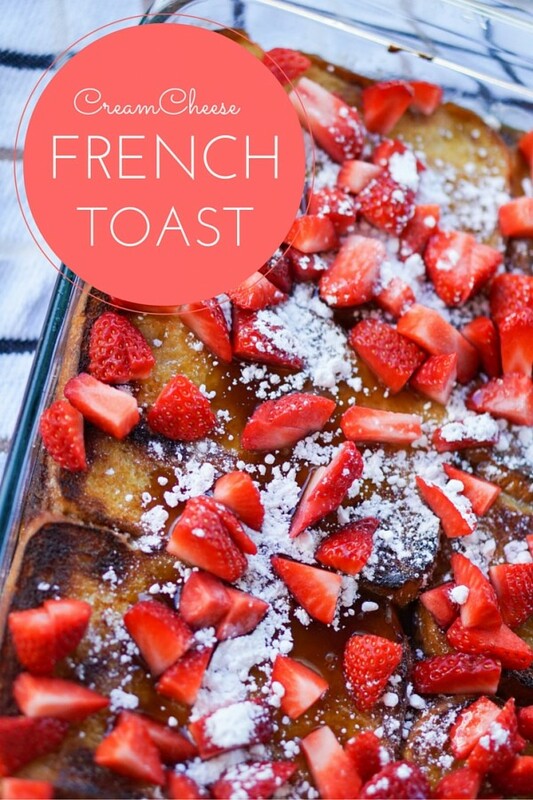 Perfect with jean shorts or regular jeans. My go-to oversized sweater from last year, shown in the pic in this post. The best faux leather jacket/sweatshirt combo. I wear it all the time and also have it in off-white. A sherpa pullover that looks like the coziest thing ever. Can’t wait for this to arrive! I got it in light pink and it also comes in white. 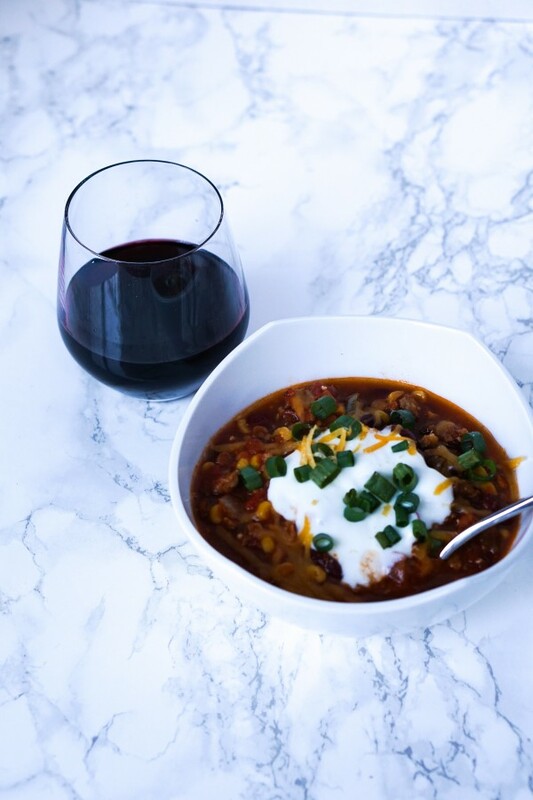 The best part of football season is having a reason to get together with friends and family over delicious food and drinks on a weekly basis. 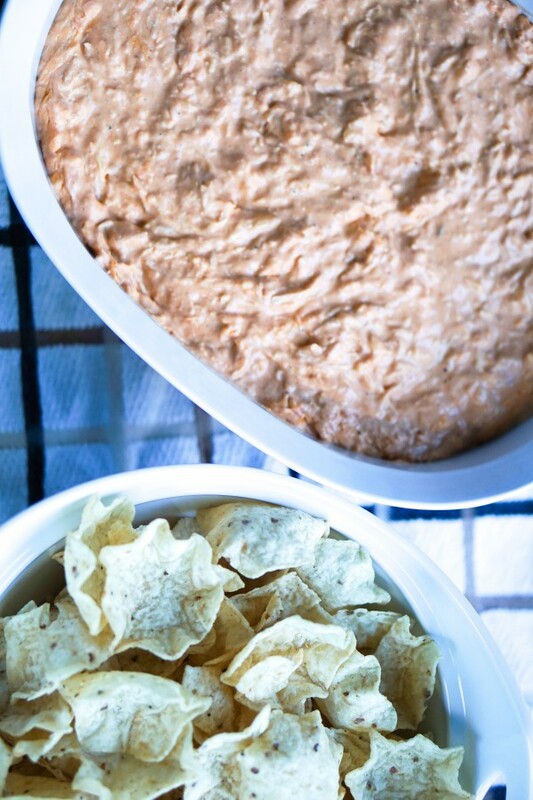 It’s my favorite time to whip up my go-to recipes, such as my three ingredient artichoke dip, but also try out new ones. 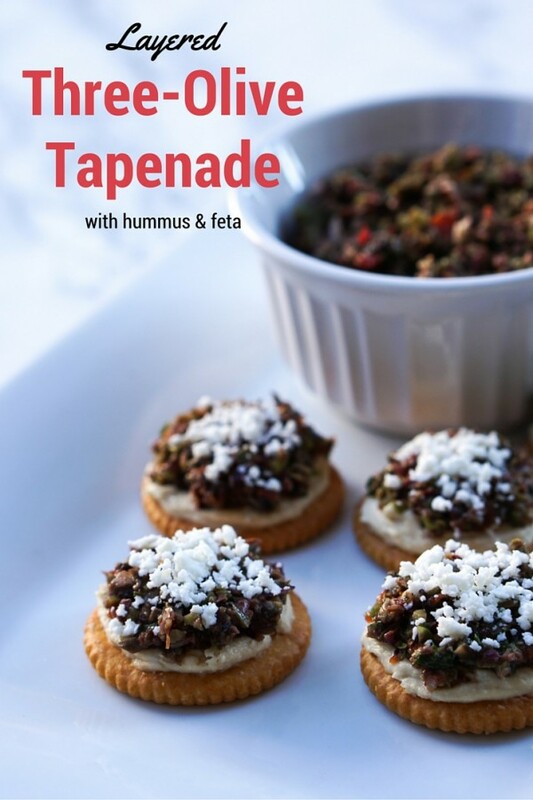 In advance of this weekend, I tested a new idea, Layered Three-Olive Tapenade with hummus and feta, and it ended up being so delicious! This recipe came about thanks to my love of olives and hummus. 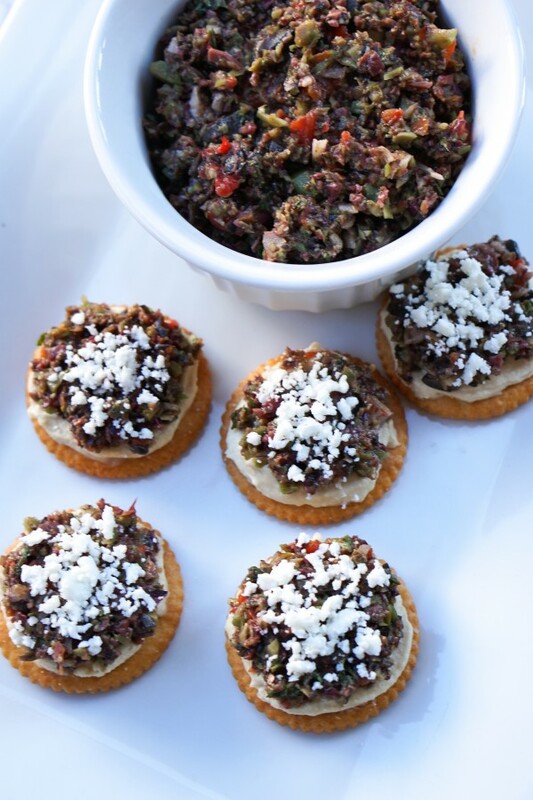 I had been thinking about creating an olive tapenade recipe, but then it dawned on me that I could make it into a bite-sized Mediterranean appetizer. And the best part is that it’s SO easy. 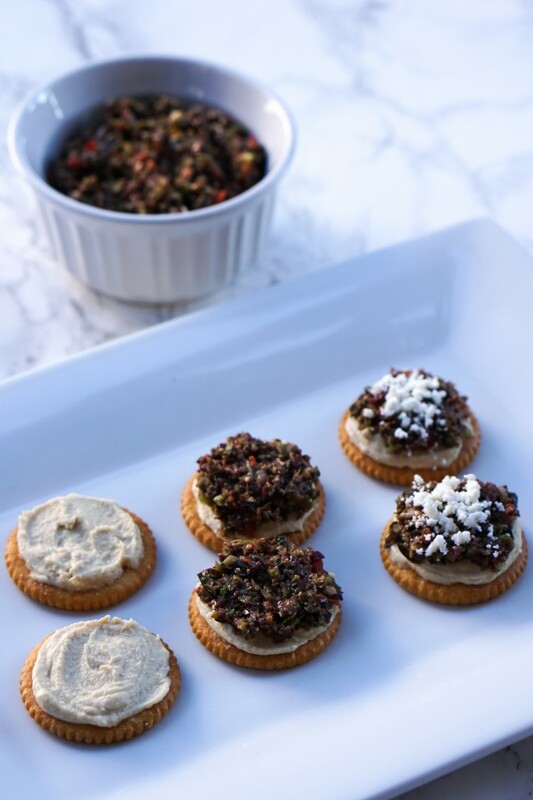 When I say easy, I’m talking lay out the ingredients, throw almost everything in the food processor, pulse a bunch of times, then spread hummus, olive tapenade and feta on a cracker and enjoy. I don’t have one of those giant food processors, but it worked just fine splitting everything up and throwing in my smaller version. 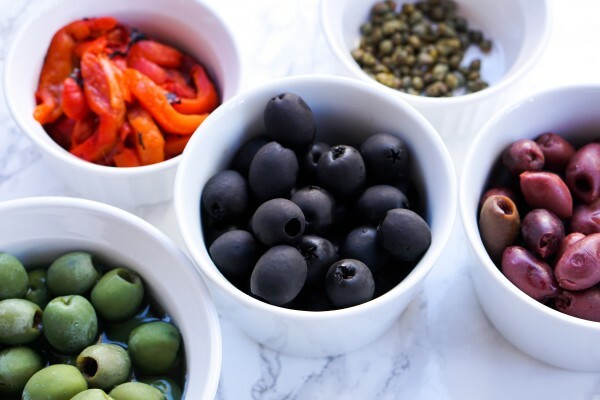 I’ll be the first to admit that the olive tapenade isn’t the most visually pleasing thing, but by using three different olives and roasted red peppers, you at least get a good assortment of colors in there. 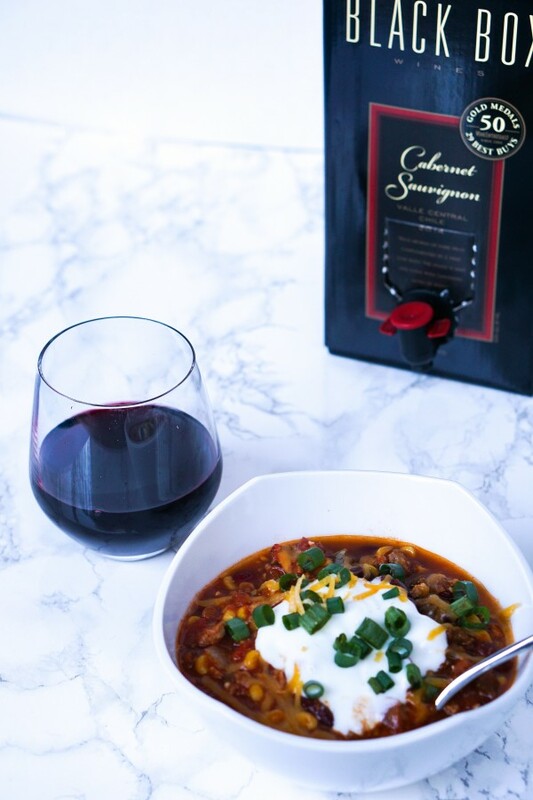 You can really make this recipe with any olives you happen to have at home – up to you! 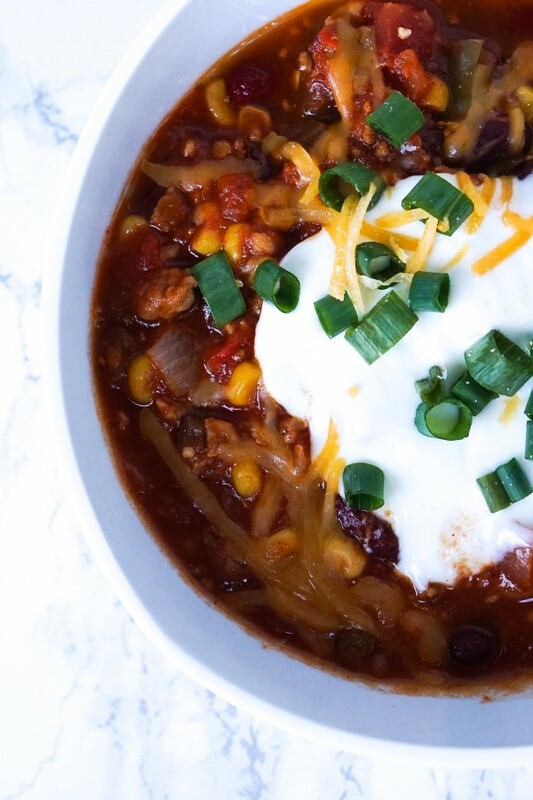 Once all of the ingredients are combined, go ahead and start assembling. Honestly, this was easier than I thought it would be. Take your time and you’ll come out with some nice looking appetizers to serve to your guests (or eat yourself… which I did with several). 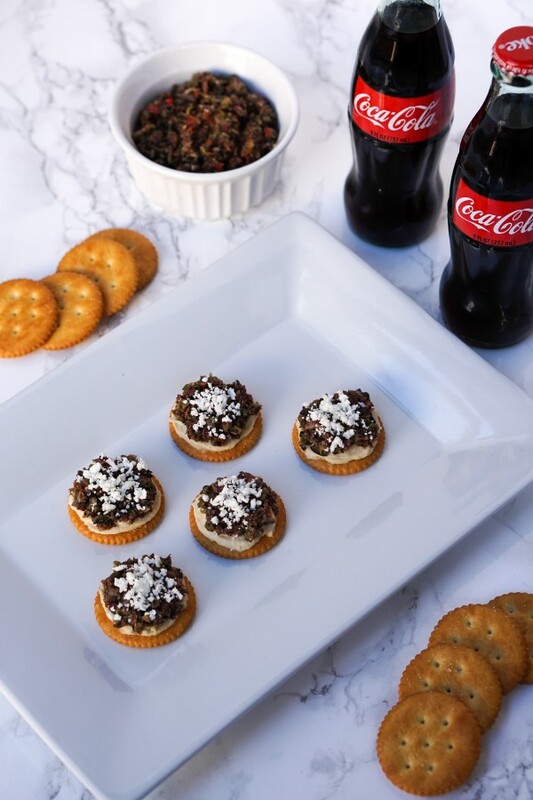 I love using classic RITZ® crackers as the base of this appetizer because their buttery taste and crunchy texture is the perfect complement to the hummus, olive tapenade and feta. And how cute are these glass bottles of Coca-Cola? Add a fun straw and they’re instantly entertaining-worthy. The 1/2 liter Coca-Cola bottles are also great for guests (we usually opt for Diet Coke, but go with whatever your guests will enjoy!). I picked up the RITZ® crackers and Coca-Cola bottles at my local Stop & Shop (scroll down to see exactly where you can find them). 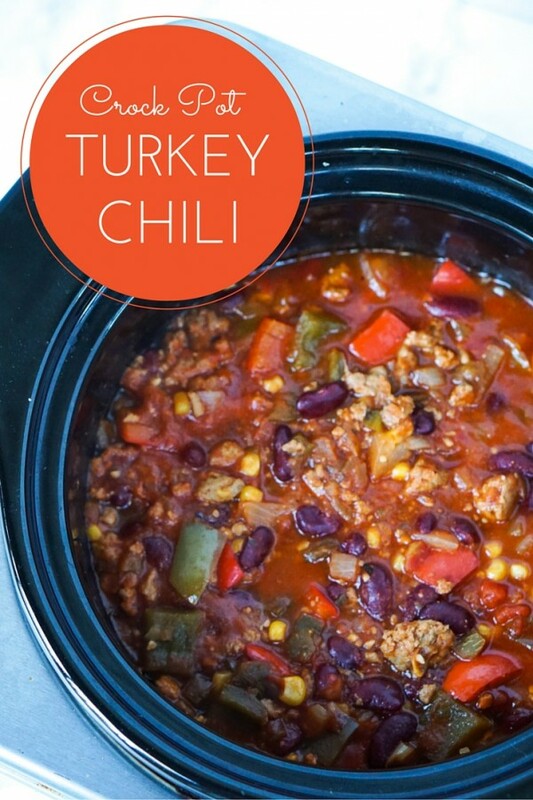 The full recipe is below and can easily be printed out for future reference. 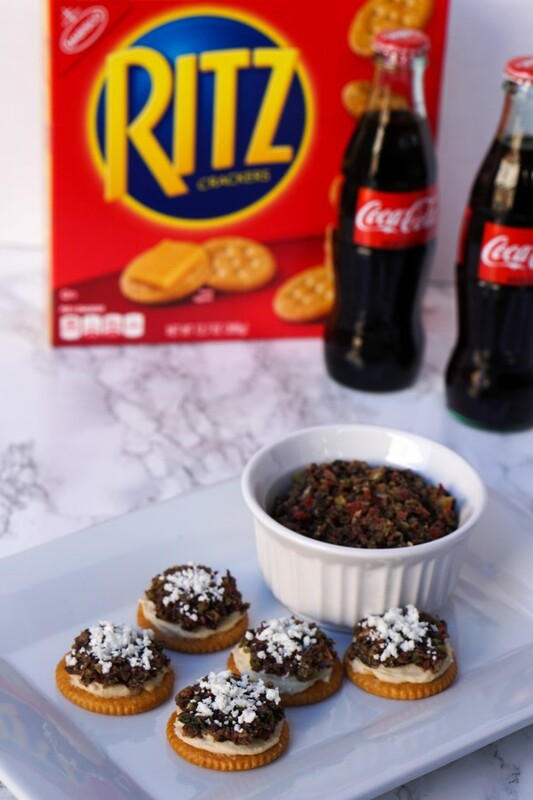 You can find more RITZ® crackers recipe inspiration here and more game day inspiration here. 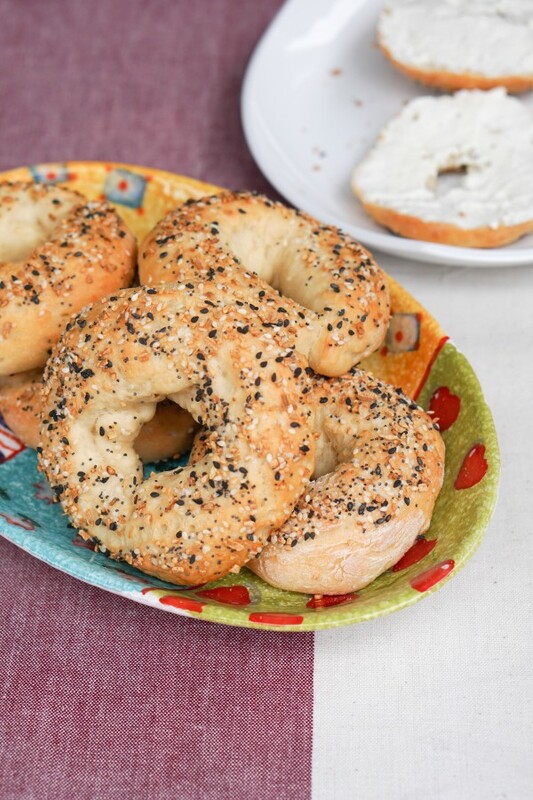 What are your favorite game day appetizers? Let us know in the comments below! 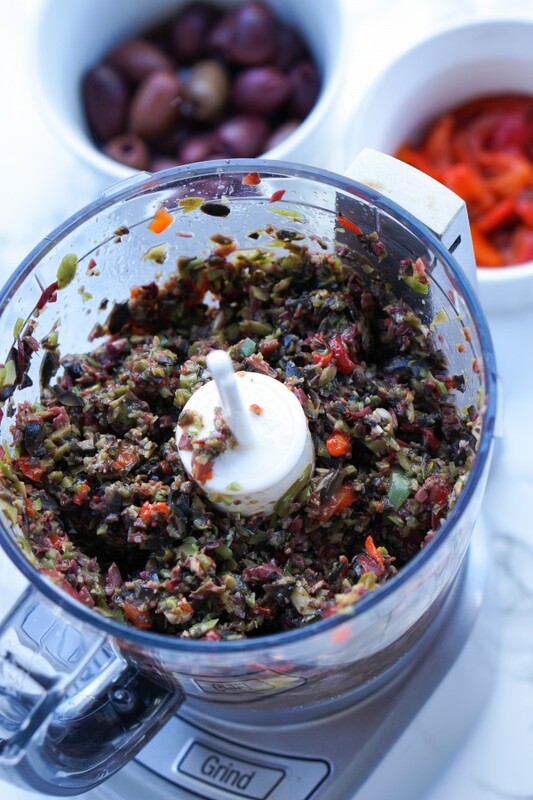 Pour olives, roasted red peppers, capers and garlic into food processor. Pulse in one second intervals, stopping periodically to scrape sides. Pieces should be approximately 1/8"; avoid over-processing beyond this size. Add olive oil, lemon juice, herbs, salt and pepper. Pulse a few more times. 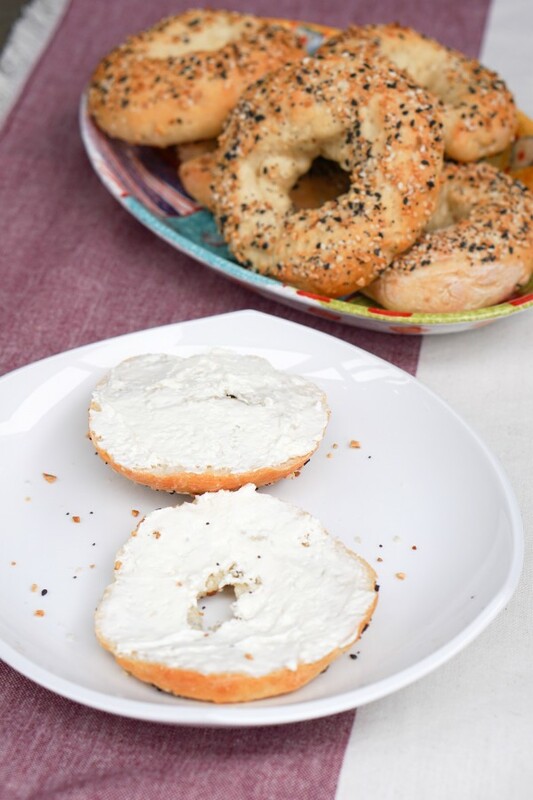 Spread hummus onto RITZ® crackers. 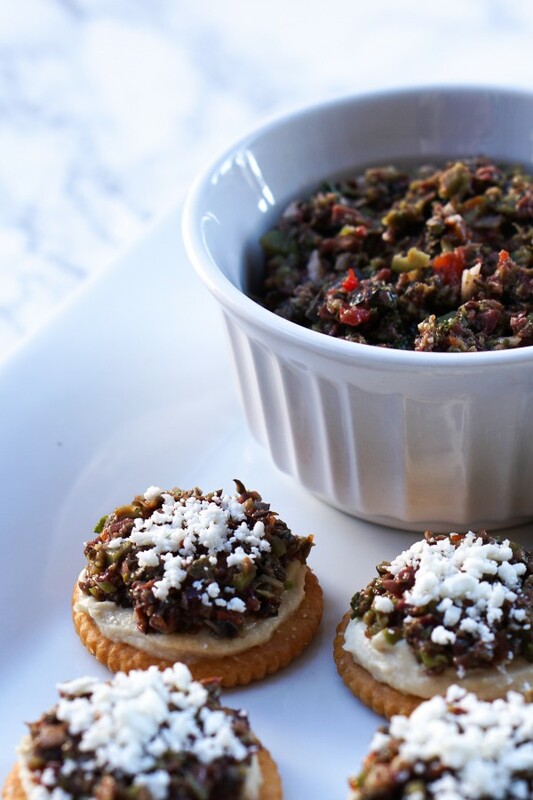 Top with olive tapenade mixture.